This program on international advertising will be held in three fantastic European locations to take full advantage of international experts and the multicultural makeup of professionals in European cities. The program will begin with the world-famous Cannes Lions International Festival of Creativity on the French Riviera. The class will then move to Amsterdam, the Netherlands, a world cultural center for progressive public policy and advertising. Lastly, the class will visit Barcelona, home to a vibrant community and rich cultural heritage. This is a unique opportunity to visit the Cannes Lions Festival of Creativity and network with some of the most prominent people in the industry. The Cannes Lions International Festival is a global event for those working in the creative communications, advertising, and related fields. It is considered the largest gathering of advertising professionals, designers, digital innovators and marketers in the world. Throughout the program, you will work on challenges that will help you expand your portfolio, all while participating in cultural activities that will broaden your knowledge of foreign cultures. 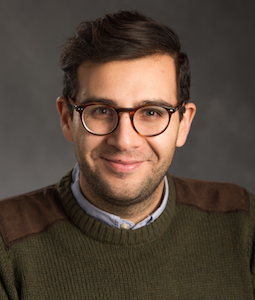 Juan Mundel is an Assistant Professor of Advertising at DePaul University. Before joining DePaul, Prof. Mundel taught at Michigan State University, where he lead a number of study abroad programs. His professional experience is in international relations, special events planning, and fashion advertising. 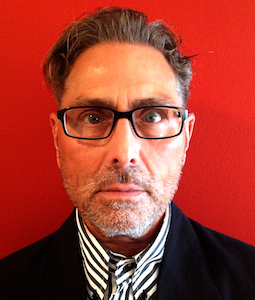 Marshall Goldman is an international executive creative director and an eminent copywriter who worked at Leo Burnett in the U.S. and throughout Europe, Africa and the Middle East, for more than twenty years.He is also founder and chief creative officer for The LeftHand Agency, a brand building and marketing consultancy headquartered Chicago. Goldman earned a BA in English, and an MA in English and Creative Writing from the University of Washington, in Seattle. For nine years while working overseas, he taught brand building workshops for his clients, as well as lead writing seminars for his agency copywriters. Course description CMN 398/598 is an introduction to the impact of advertising on society, culture and economy. The representation of different aspects of society within ads will be examined in the context of the host cultures. This course looks at the social, psychological, economic, legal, and ethical repercussions that may result from marketing communications. Course description The focus of this course is to prepare students to translate their upcoming study abroad experience into unique portfolio-level work when they return. By acclimating students prior to their multi-cultural abroad opportunity, the spring course can assure they are ready to deliver on the trip’s purpose: providing students with the international understanding, exposure, and in-person experience necessary to develop effective global advertising campaigns. Additionally, the course will deepen students’ understanding of global brands: specifically, how to communicate and maintain “brandness” (unique brand character and identity), while establishing and maintaining relevancy in culturally different local markets. Understanding what it means to be brand-focused, human-driven, globally-minded, locally-articulate, and original. Recognizing ideas that have changed the way people think about brands -- locally and globally. Demonstrating the unique and sought-after skills to develop ideas that will change the way people think about brands -- locally and globally. Students will experience a variety of housing options: hostels, hotels, and college campus accommodations. Accommodations are double occupancy. If you are planning to study abroad and do not have a passport, apply for one immediately. Some programs require students to obtain student visas. In that case, contact the country's local consulate or embassy for up-to-date instructions. As of this publication, students traveling with US passports on the France, Netherlands, Spain program DO NOT need a visa. Please note that visa requirements can change quickly. Study Abroad will update this website to reflect changes as they become available. Do your research on the countries and the Cannes Festival before the trip. Make an effort to understand the methods of transportation in each country. Be sure to download and sign up for security alerts. Pack medicine for everything, especially allergy medicine. Your body can act adversely in a new environment. Make the most of the social setting. Get to know everyone on the trip and experience things with each person. Stay out late. Experience everything. Step outside of your comfort zone, take a risk, go out by yourself and you will be surprised at what you find. Be prepared to walk a lot- bring comfortable shoes! Thank you for your interest in this program! We are not currently accepting applications. In general, applications open about 6 months before program application deadlines.